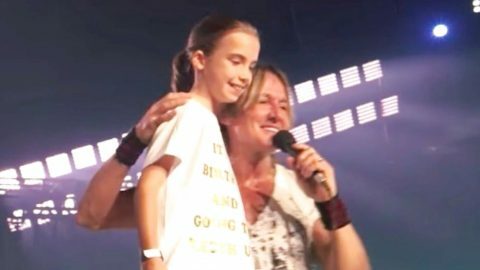 Country music star Keith Urban went out of his way to make a little girl’s birthday wish come true during his concert. 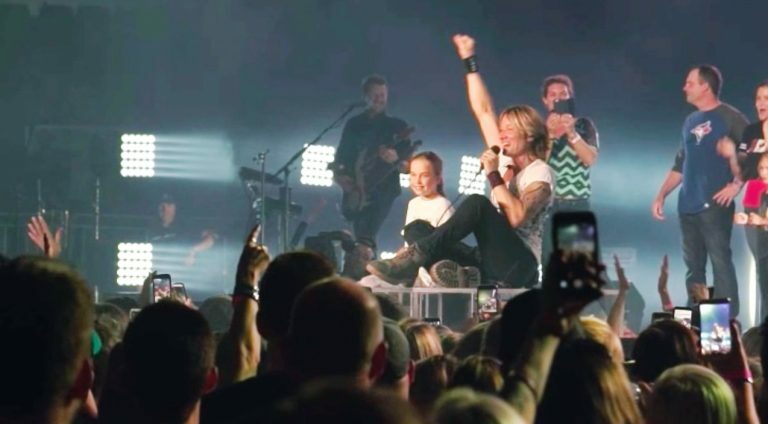 The "Somebody Like You" singer posted a video on Facebook showing him sharing the stage with her 10-year-old fan Ella. He brought her on stage for a special serenade, a touching gesture for Ella who was wearing a celebratory shirt with a giant “10” on the back. Follow us on our Twitter account, @amomama_usa, to learn more and scroll down to watch the video below. Urban, a father of two young girls, was equally touched to read the words printed on the shirt. “That’s the best, thank you so much,” the 50-year-old singer told Ella. The singer, who is married to actress Nicole Kidman, is known for having a soft spot for young children, often inviting them to come on stage during his concerts. Urban’s tribute to Ella has gone viral, racking up almost 300,000 views in just four days. “We LOVE celebrating birthdays on the #GraffitiUWorldTour! 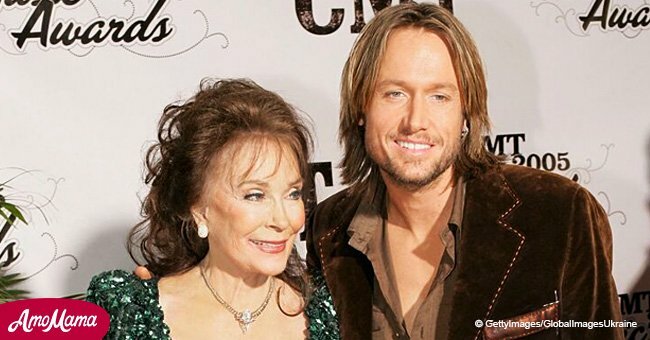 Happy Birthday, Ella, thanks for spending it with us! !” he captioned the video, which he shared on September 16, 2018. Fans were touched by the scene. 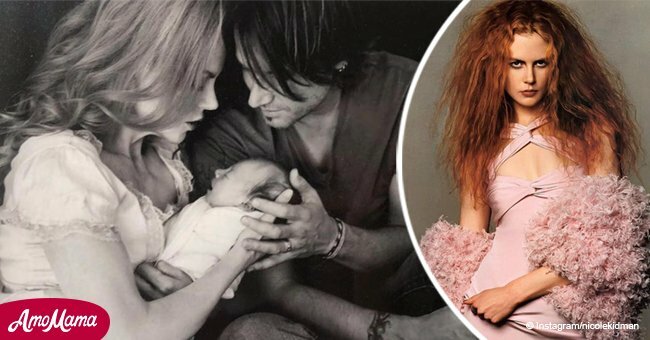 “Keith, it seemed so natural for you to make her birthday a special one - you must be an amazing father!” commented one fan. “Incredible!! Ella will remember her 10th Birthday always!!! Happy Birthday Ella. You my dear had the best Birthday gift ever. Wonderful job Keith!!! Like I always say, you are amazing! !” another wrote. Urban and Kidman are known for going out of their way to help others. Recently, the couple announced that they’ll done $100,000 to a fund-raising campaign to help farmers affected by drought in Australia. Urban also urged his fans to help. "Any little thing you can give makes a big difference to the farm aid telethon; you can donate online via Today Show," he said. Others have since followed suit, and the Great Northern Brewing company contributed $250,000, and the government's financial aid will also be increased to $1.8 billion.